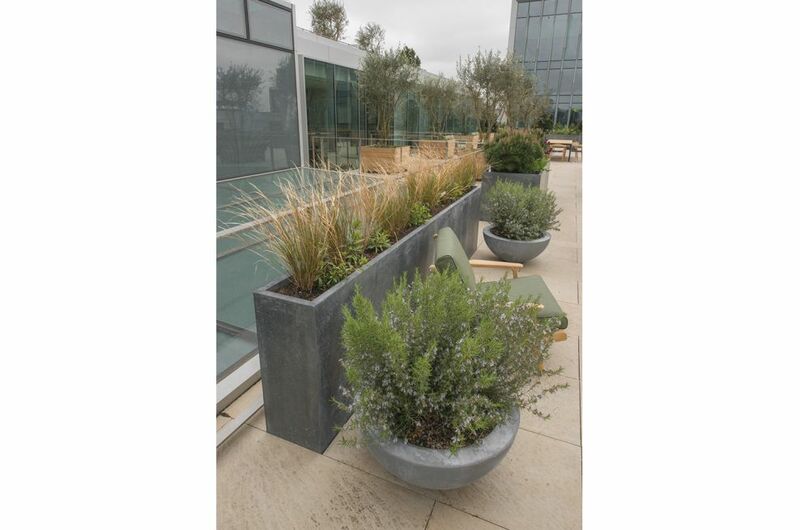 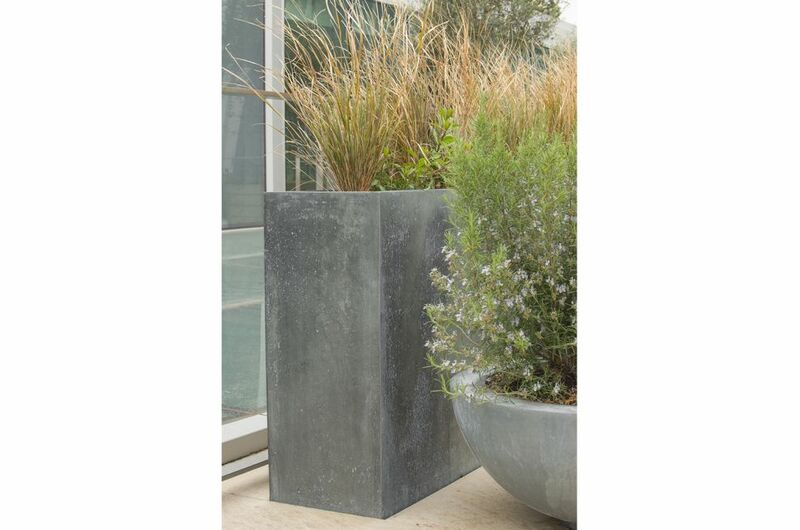 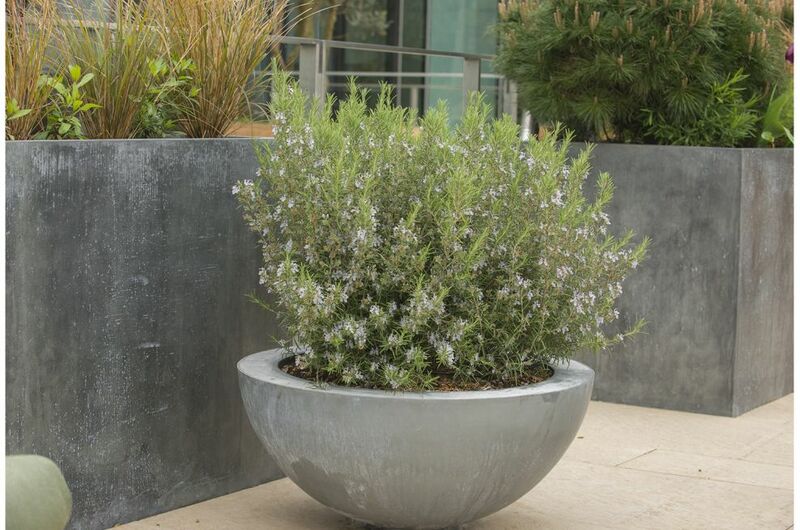 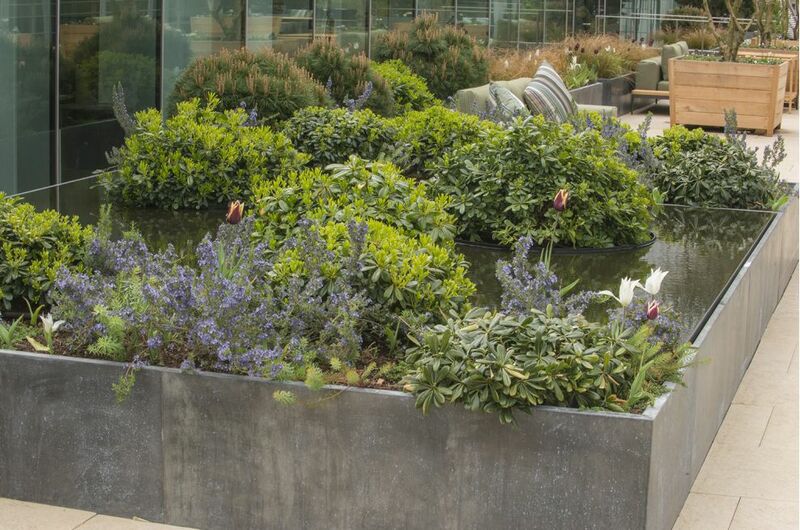 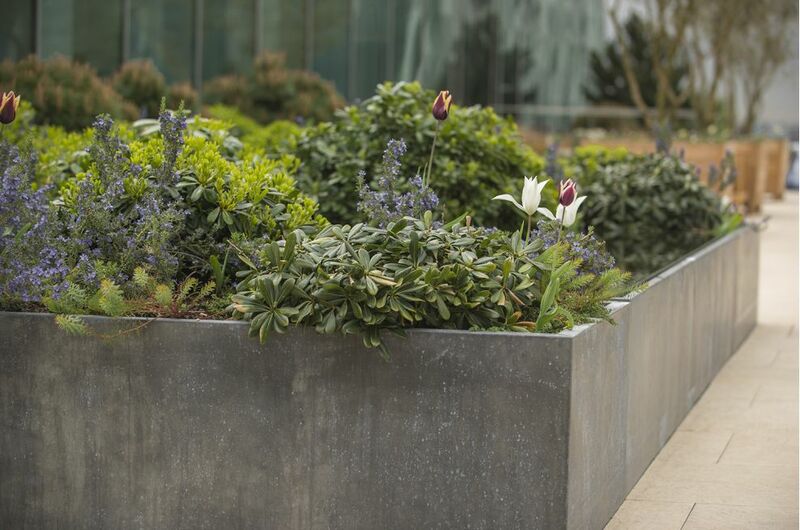 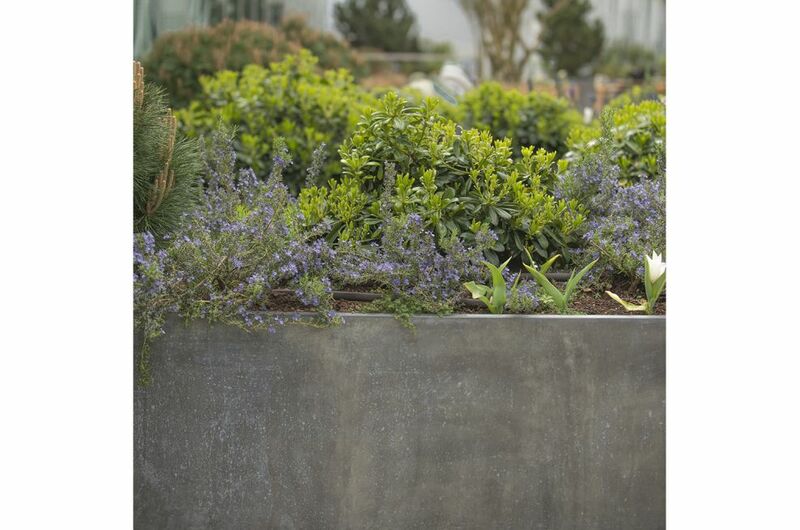 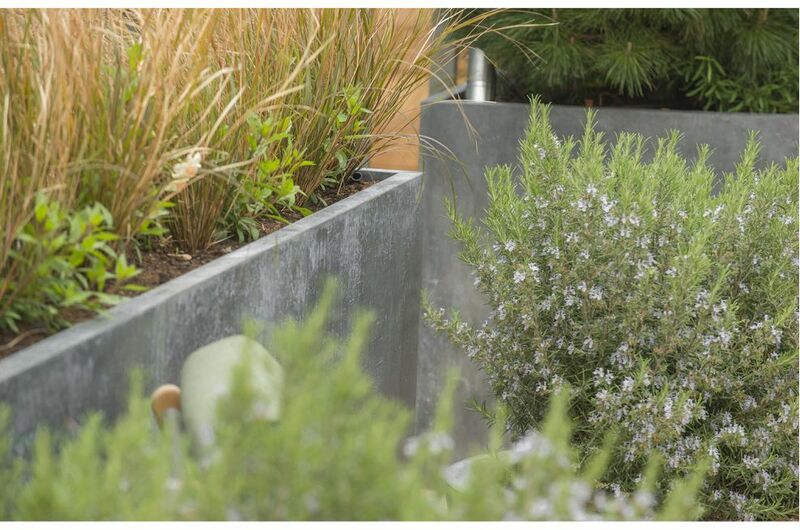 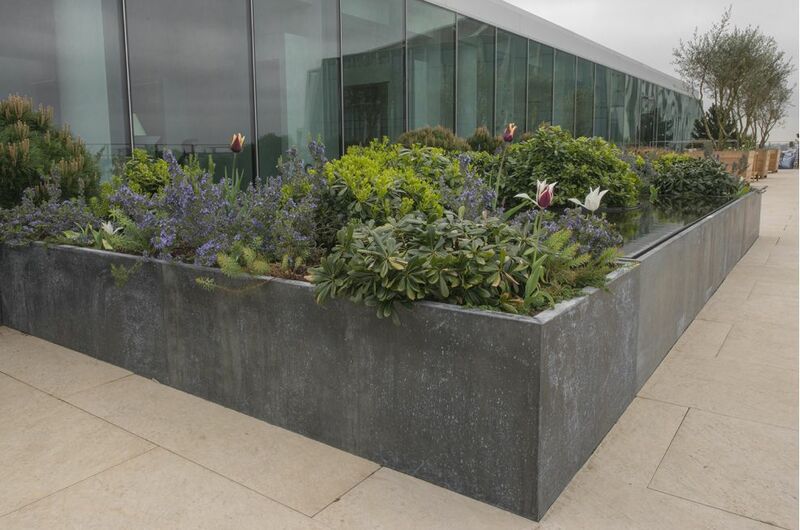 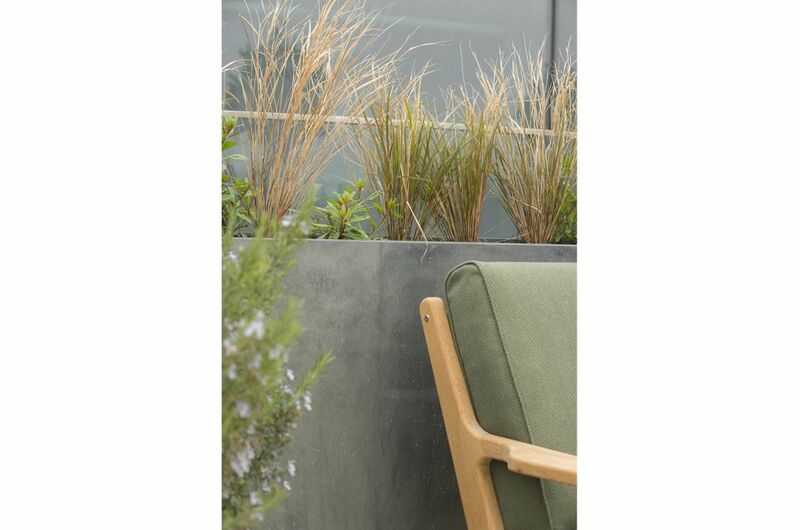 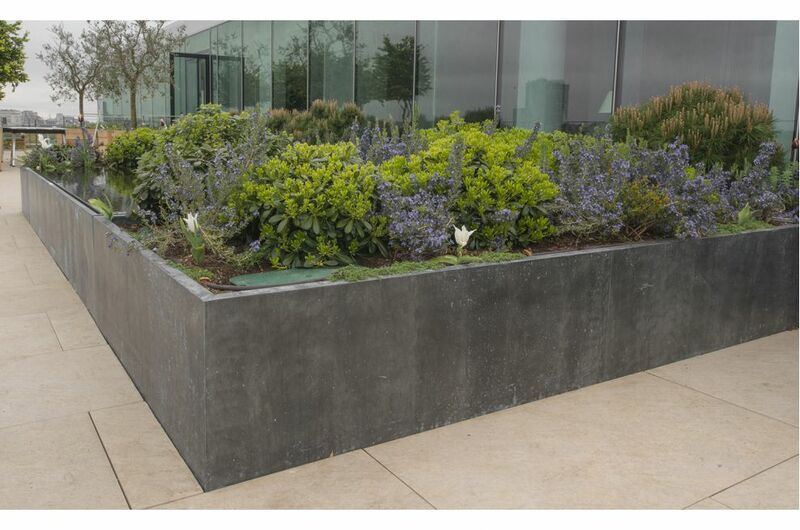 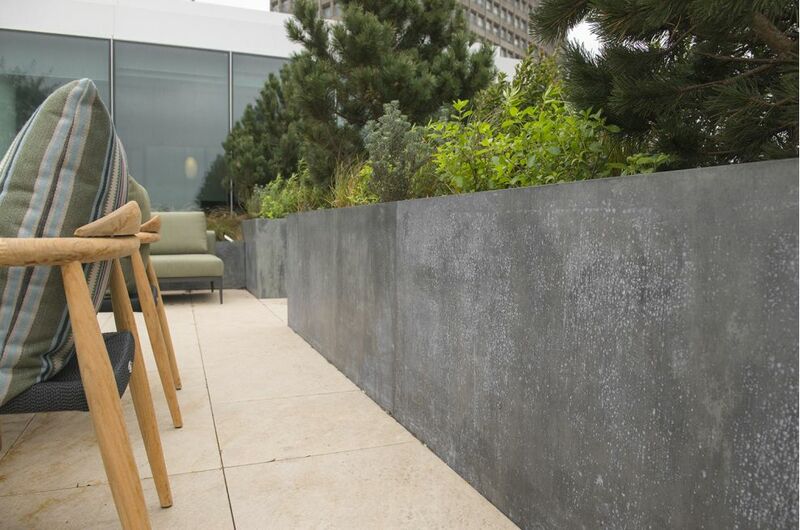 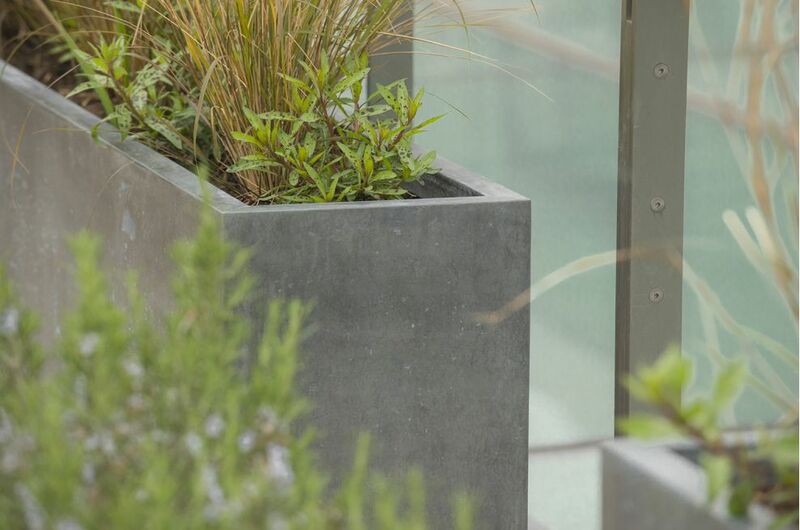 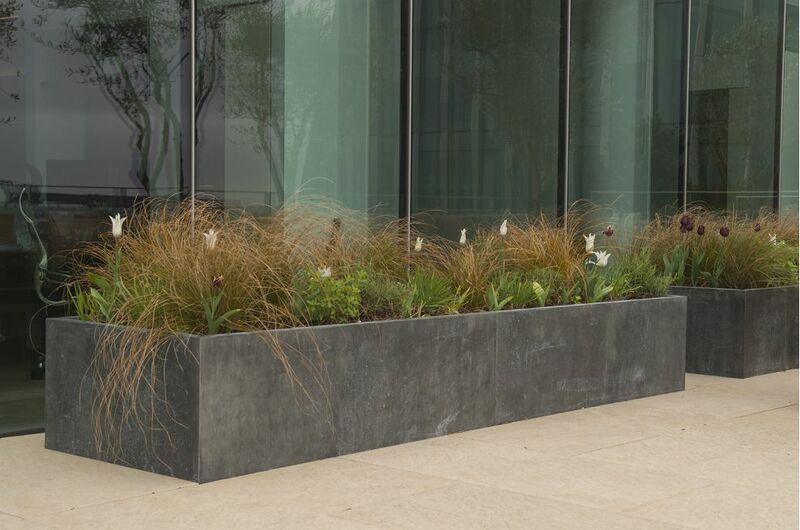 Bespoke Zinc planters were supplied to the UK headquarters of an international corporation at Verde SW1. 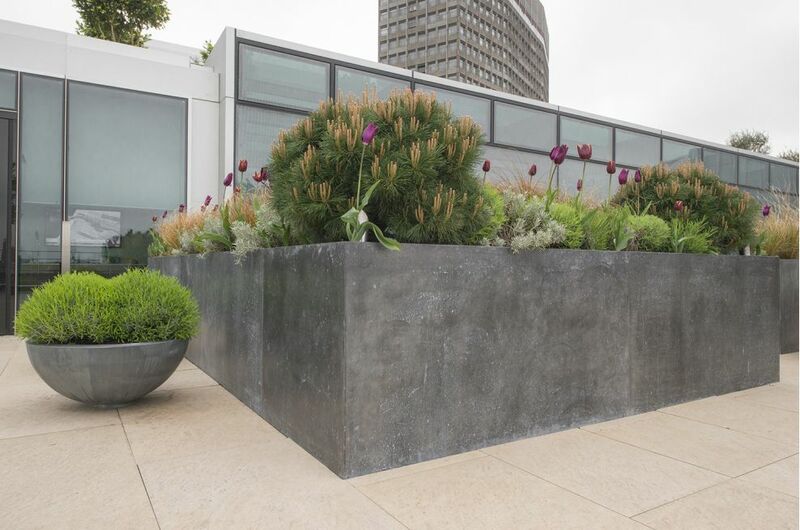 The planters feature in a Tom Stuart-Smith designed garden, arranged over two roof terraces of this prestigious office redevelopment in the heart of London’s Victoria. 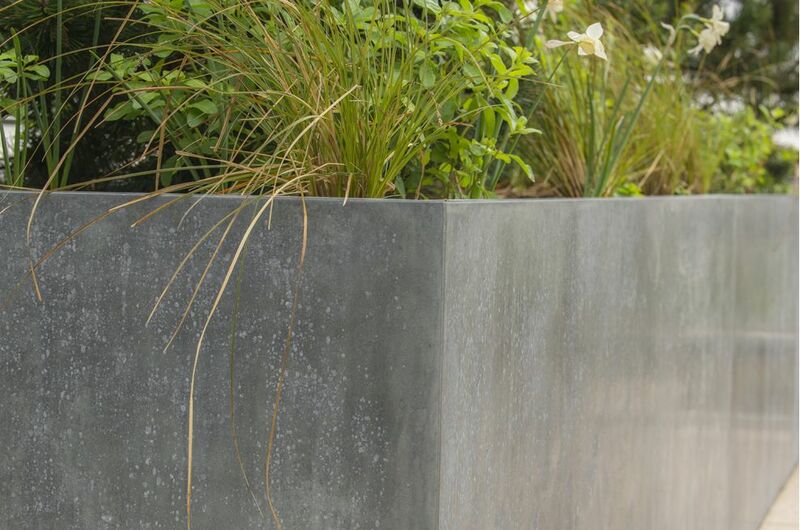 A total of 21nr. 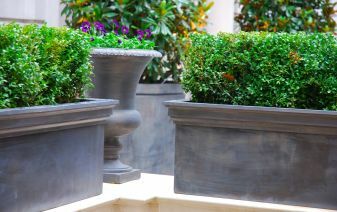 planters were supplied of varying dims., with the majority being relatively large, having lengths between 3500mm and 5100mm. 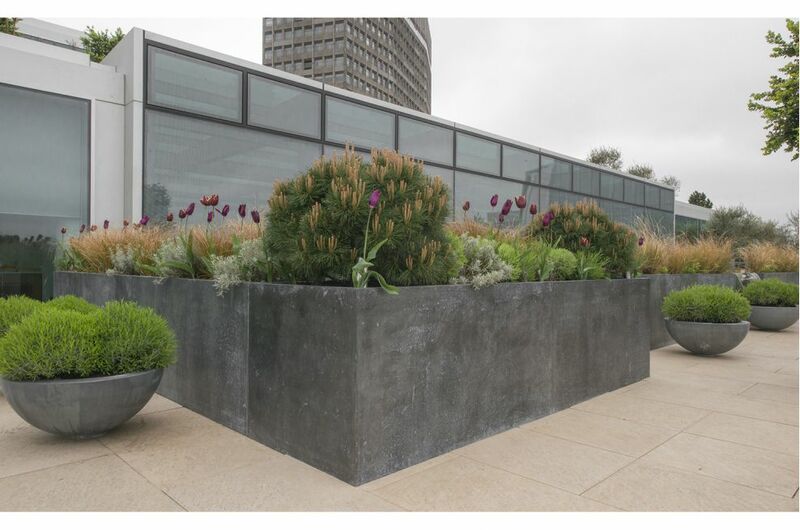 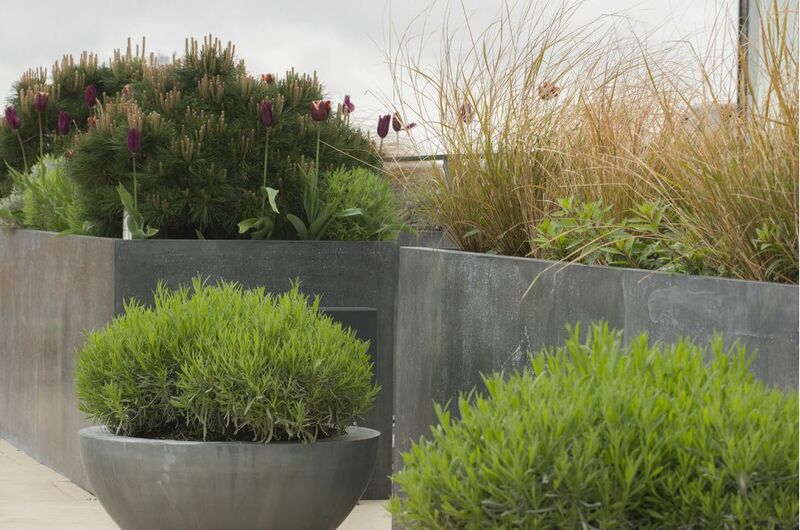 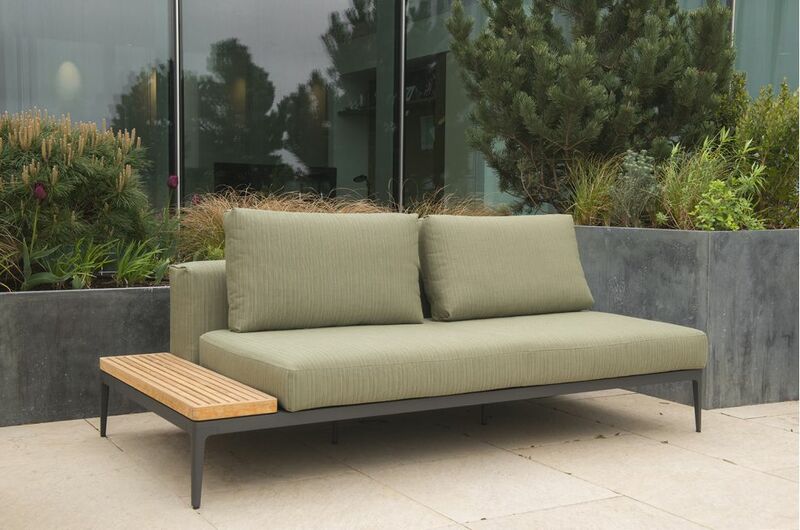 Given the scale of the planters, they were manufactured from 1.2mm Zinc clad onto 2.0mm Zintec Steel, to give sufficient strength and stiffness. 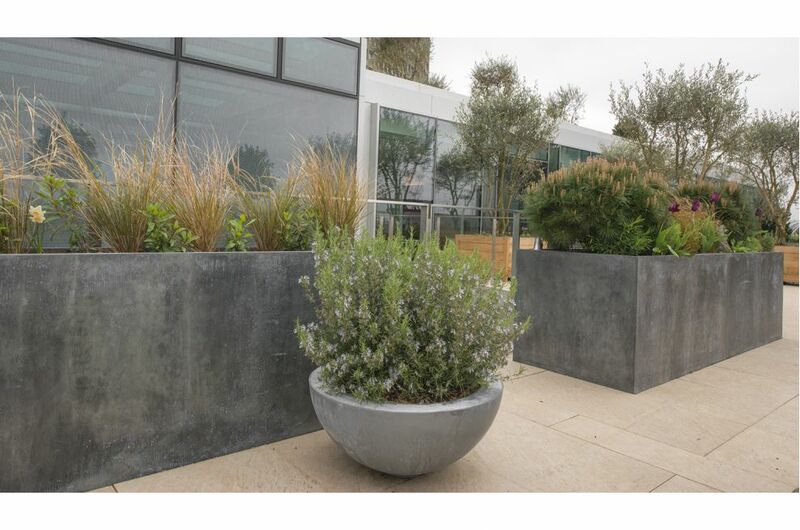 The same technique is used by IOTA to create large planters from other softer metals, such as Lead, Copper, Brass and Bronze. 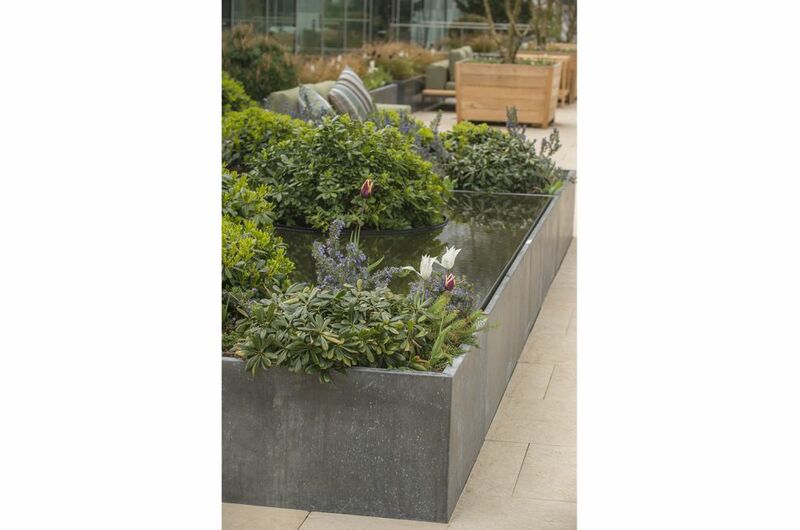 IOTA’s brief at Verde SW1 also included supplying Zinc cladding to a large water feature within the scheme, of external dims. 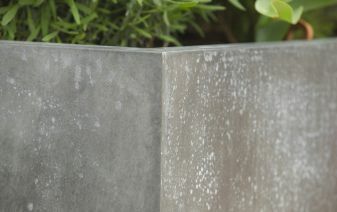 L 3278 x W 3716 x H 550mm. 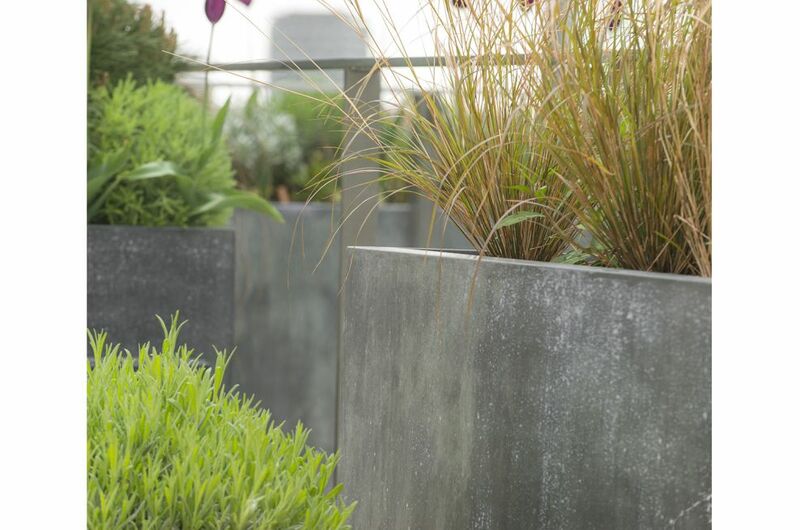 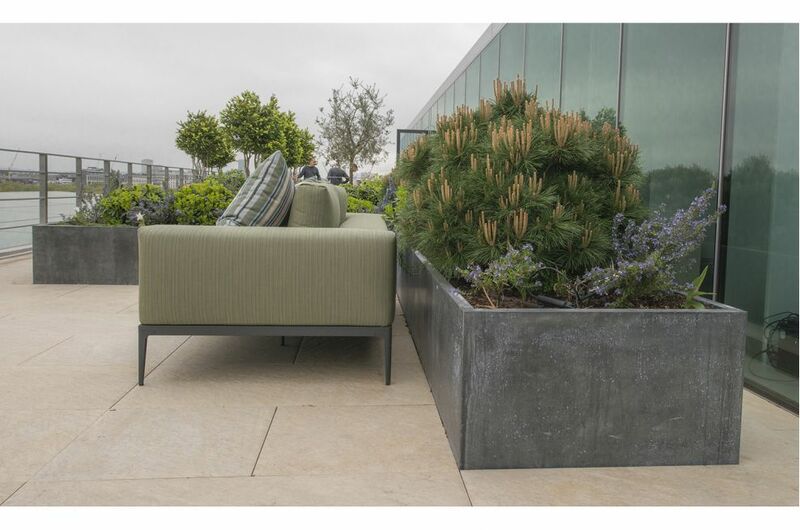 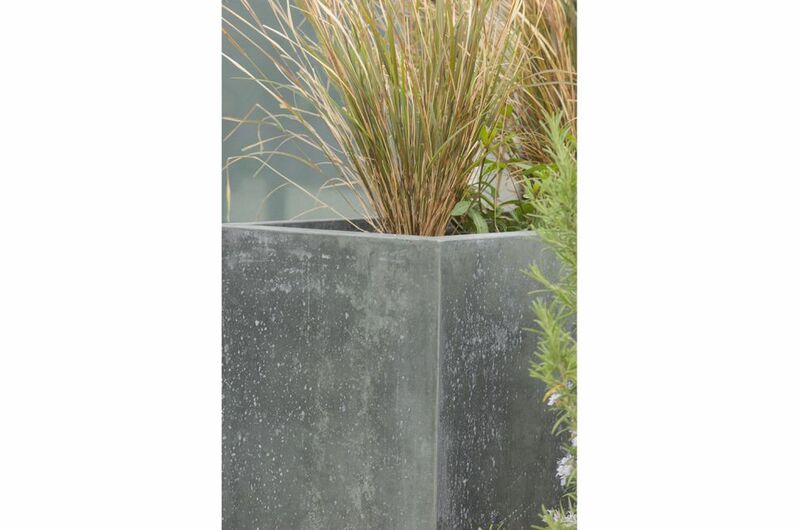 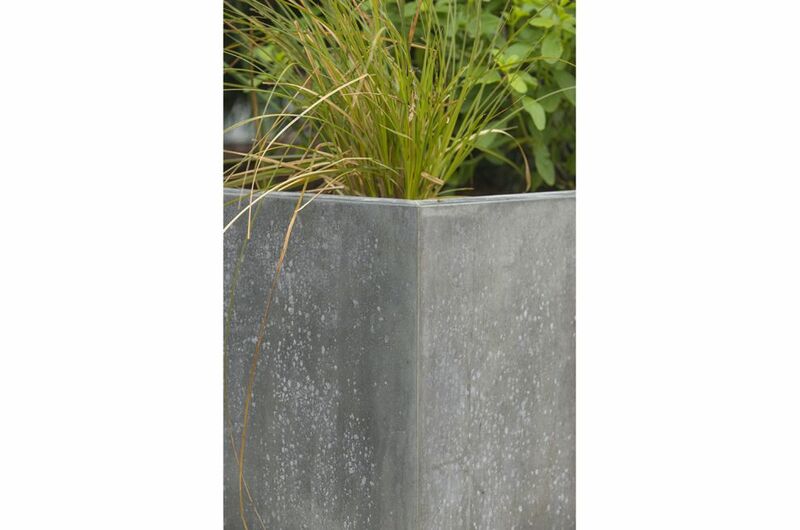 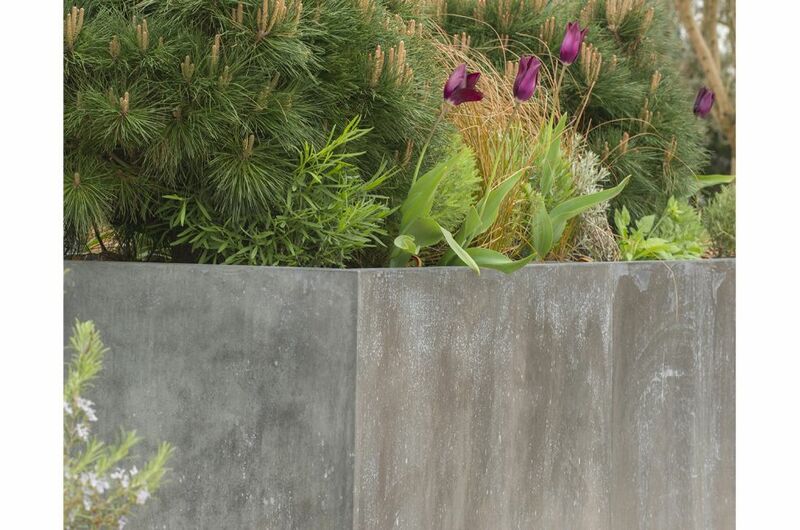 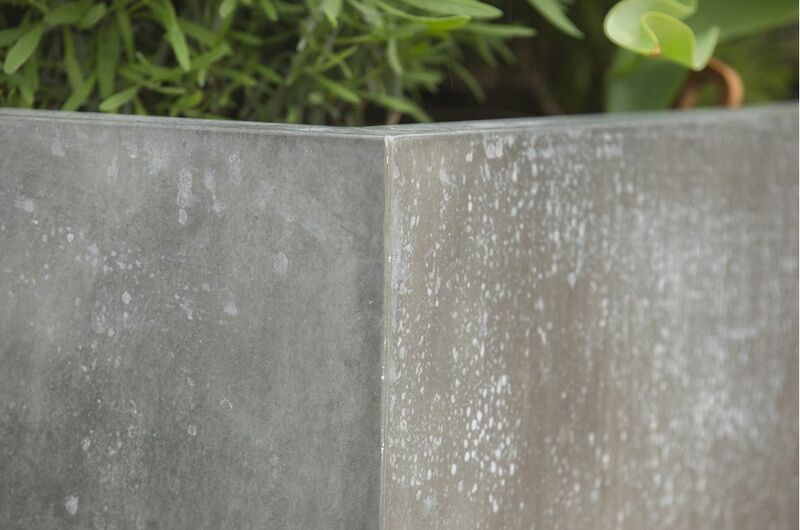 The Zinc planters were supplied with a patinated finish, with the intention that they would then age naturally within the maturing gardens. 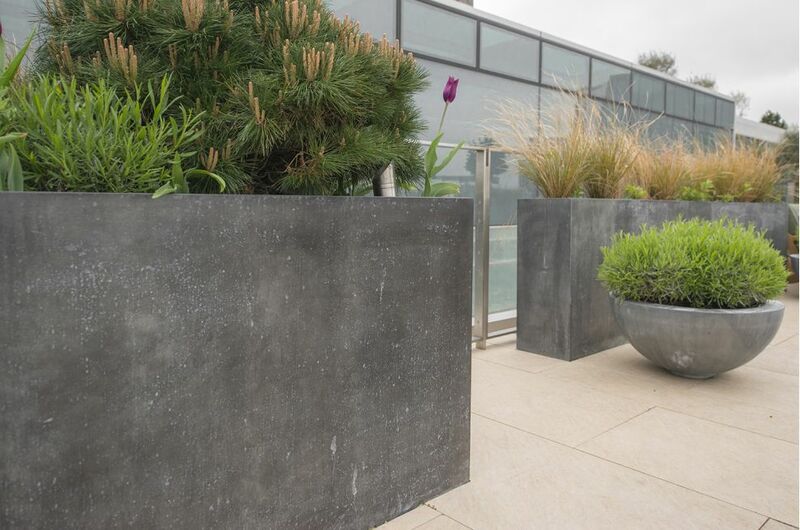 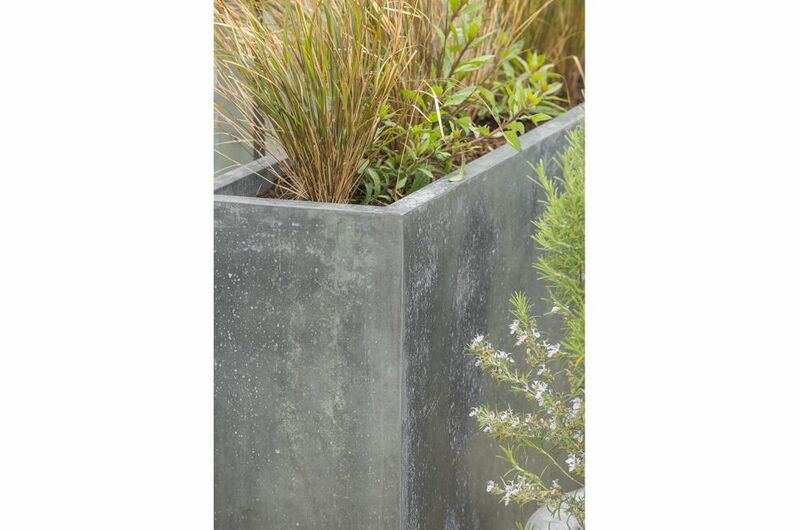 The images here show the planters at a relatively early stage of natural ageing; with a general background patina resembling old lead, with natural and characteristic zinc oxide highlights starting to come through. 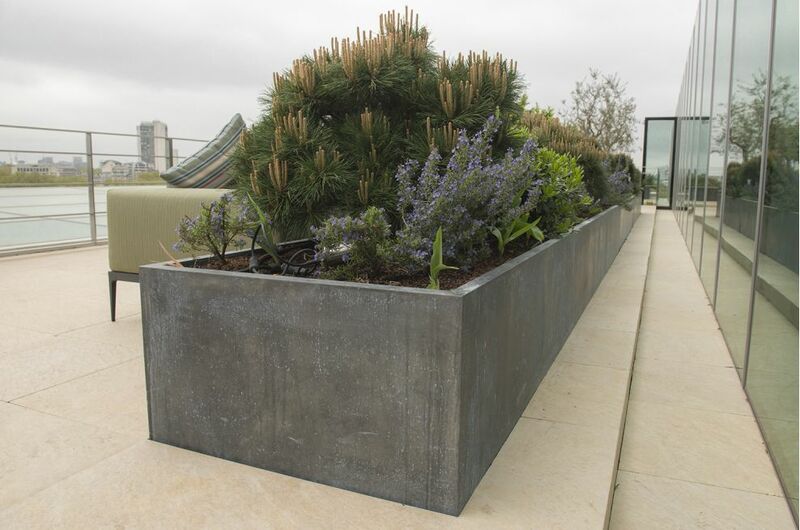 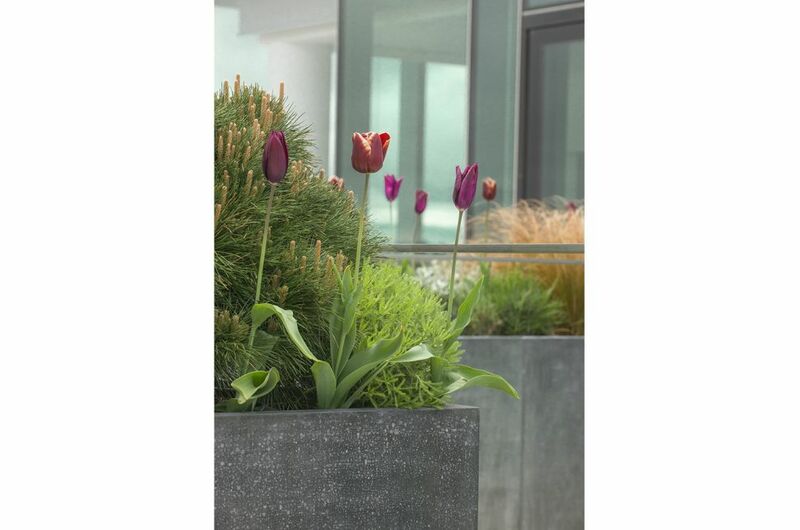 Over time, the planters will become generally lighter, with increasing levels of tonal variation and highlights. 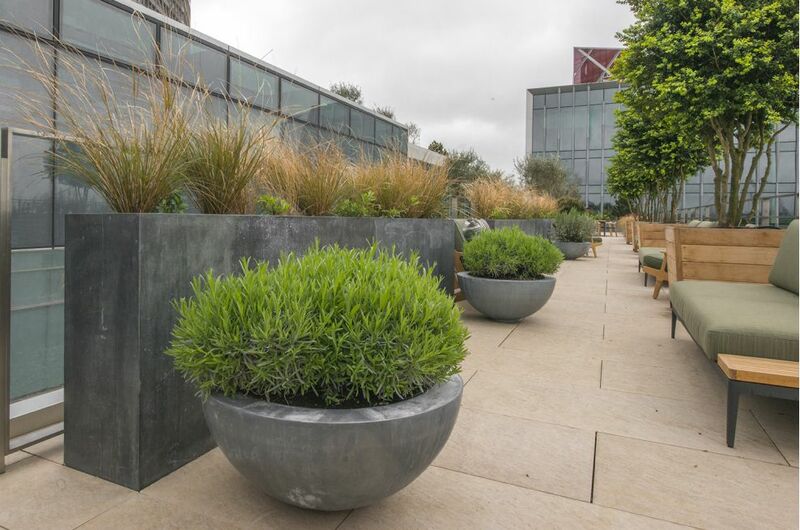 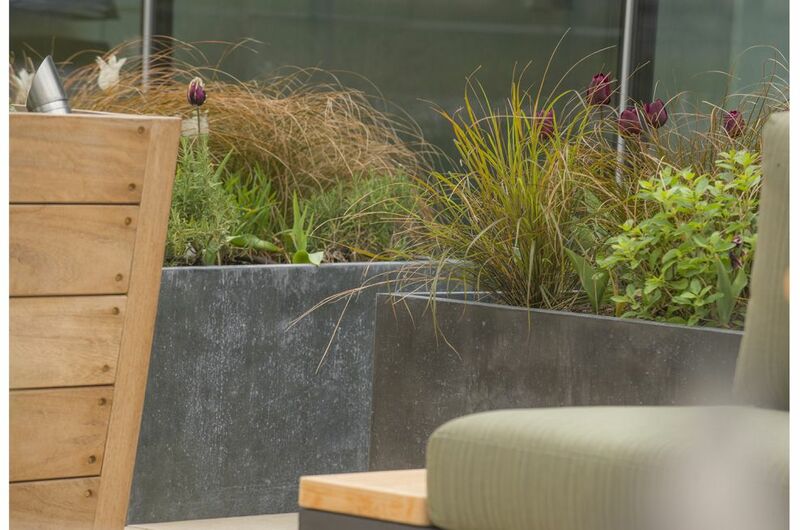 IOTA’s planters were commissioned, and installed, by leading garden design and build practice Bowles & Wyer, who were the build contractors for the development. 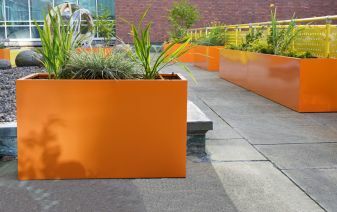 The planter concept and design, manufacturing and supply was by IOTA. 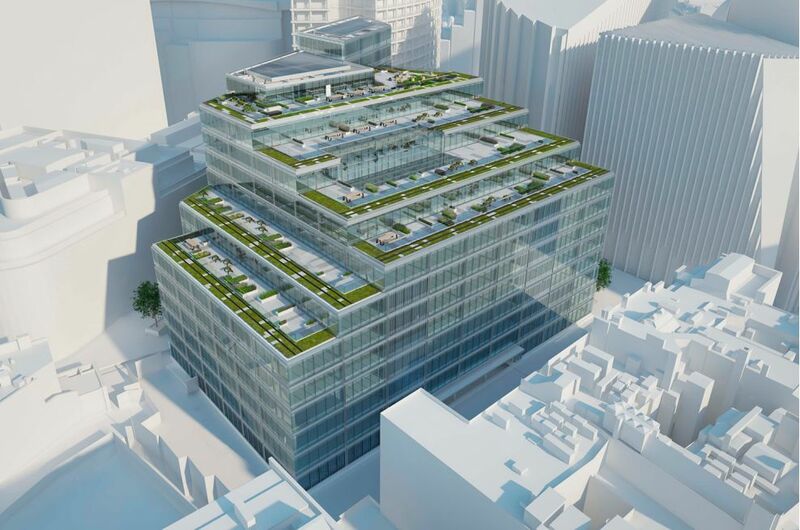 Verde SW1 is a state-of-the-art redevelopment in London’s Victoria, with approx 317,000 sq. 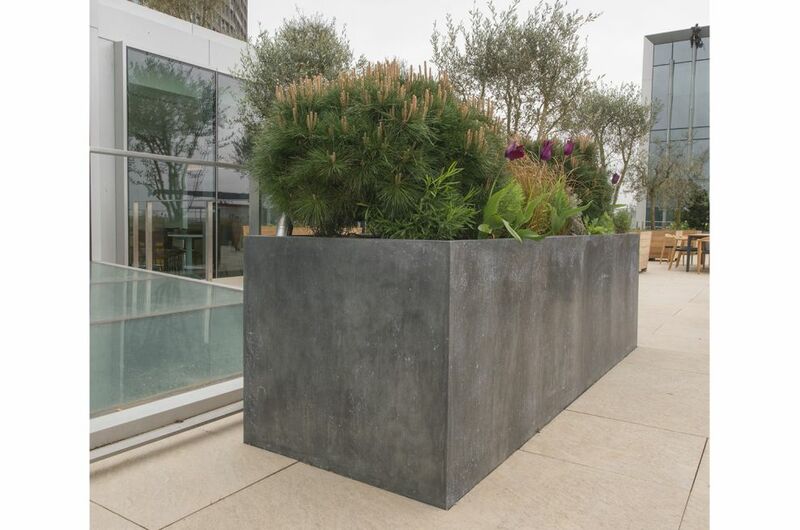 ft. of Grade A office space. 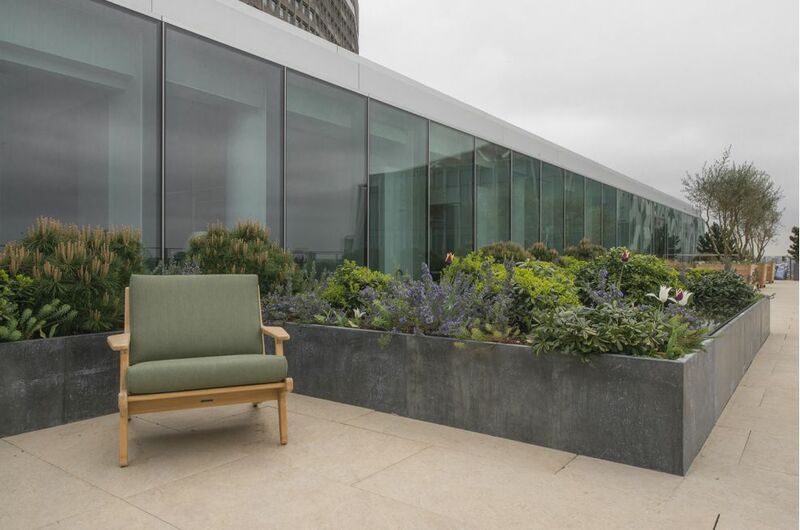 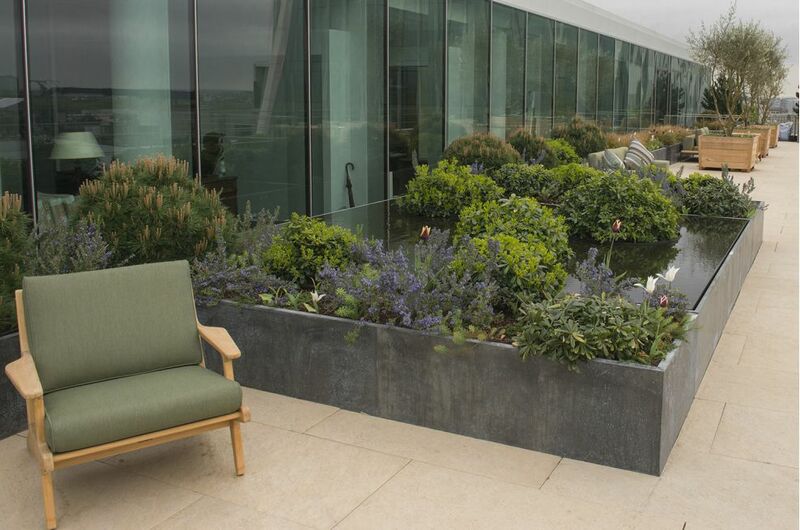 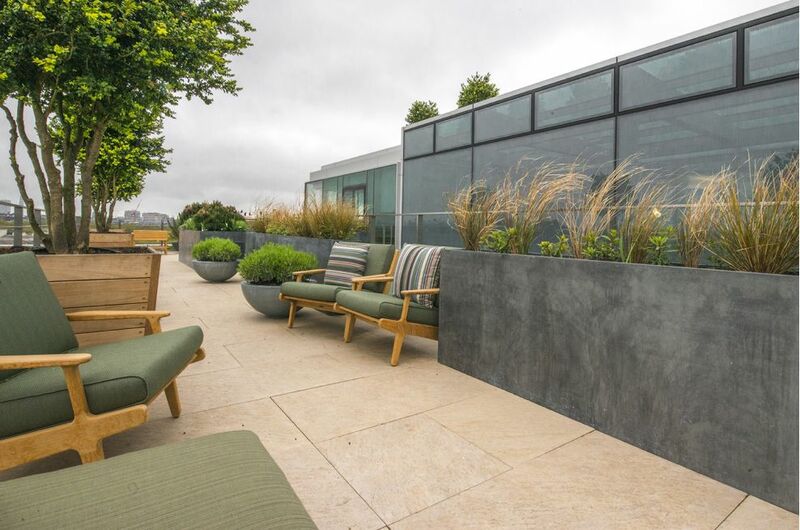 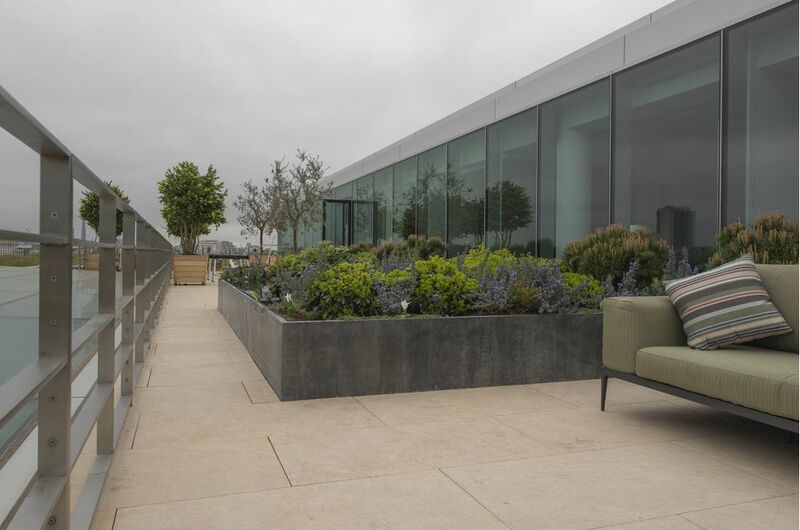 A striking feature of the building are six expansive roof gardens totalling over 20,000 sq. 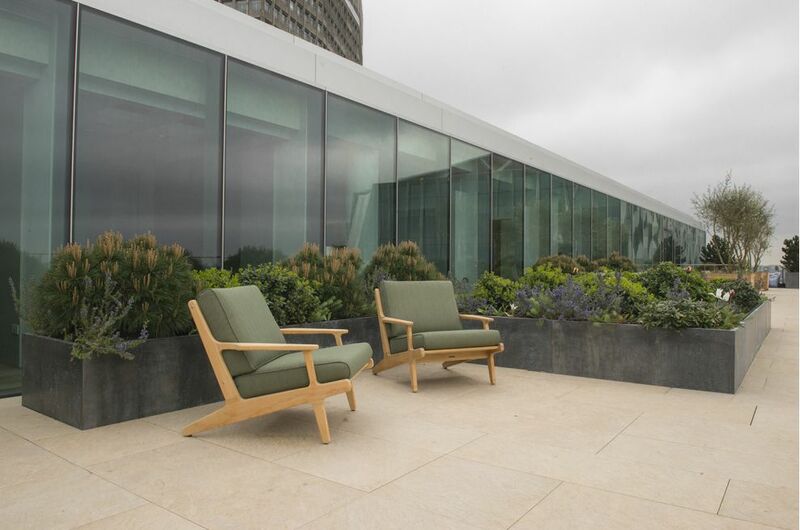 ft., which offer stunning views of the London skyline across Buckingham Palace and the Royal Parks.